Time to drink more coffee after a sweet dessert from Cara Mia Gelafeteria. We went back to Promenade and got curious with the new coffee shop beside Starbucks (the former ground floor for Fully Booked). My friend's sister suggested that we try this coffee place as it serves coffee with cheese! There was a long line of curious customers, and we lined up to check what is on the menu. 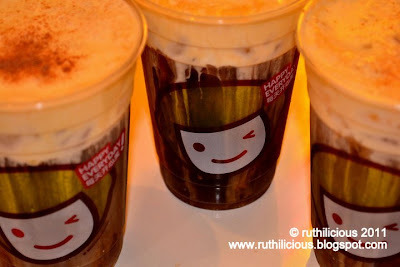 We tried that Coffee with Rock Salt and Cheese (Php90 Regular, Php100 Large) - well, the three of us tried the drink (yeah, another friend followed us at Cara Mia Gelafeteria after our dinner at Amici). As advised, the drink should not be stirred, rather drink as is. So every sip that we did, it seems like we are downing ourselves with beer. Bubble moustache, anyone? The verdict? It is as if there is a slice of cheesecake on top. It tastes good, but there is nothing really special about the coffee (or maybe, we are expecting a coffee with that kick of full body, and high acidity). Let's just say, it tasted like the usual iced coffee with a twist (cheesecake on top!). 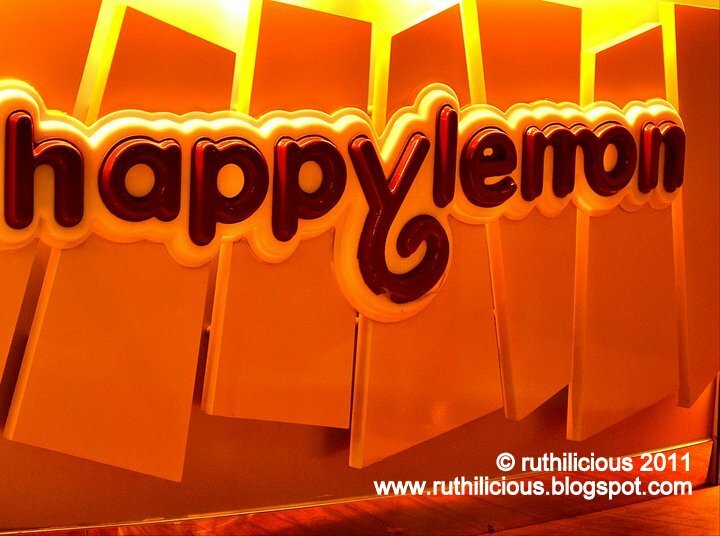 The store offers Lemon drinks, Milk Teas, Cocoa drinks and other specialty drinks. Check the menu here from the Awesome Planet. Waiting for a place at the al fresco is a struggle, because there were only a few seats outside. But it is worth the wait just the same, since I was waiting with my friends - I couldn't imagine waiting with a lousy date. 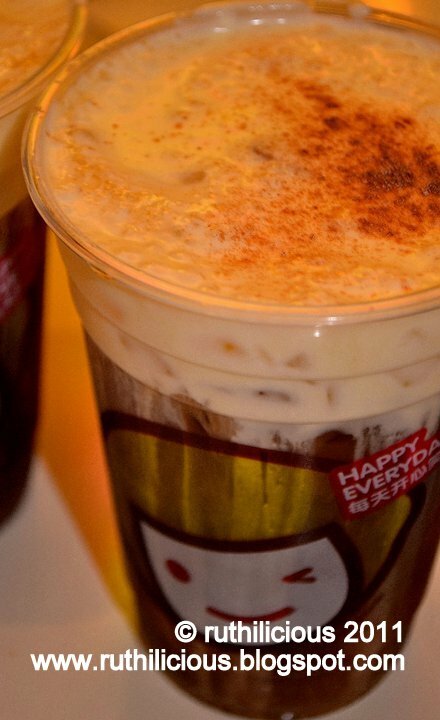 If you want to try a drink like this in hot, try Coffee Bean and Tea Leaf's Cappuccino drink with that salt and honey (can't remember the exact name though).